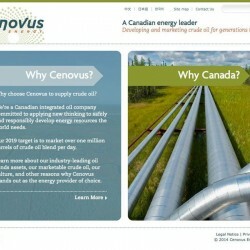 Cenovus Energy Inc. is an integrated oil company headquartered in Calgary, Alberta. 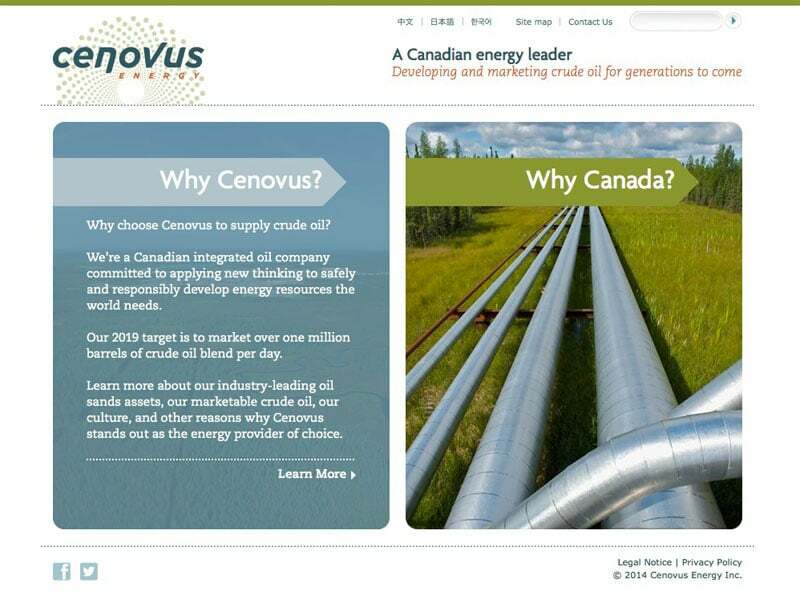 For this project we were approached by the company that arranges all the translations for Cenovus. The site was already running in English and Chinese, but when Japanese and Korean needed to be added for an upcoming large scale marketing event, the site started playing up. What started out as a WPML Consultation (Clarity call followed by a WPML Assessment) quickly turned into a complete theme redevelopment, where we took the theme, turned it into a TwentyTwelve child theme, properly internationalised it and recoded it where necessary. Within a week the site was back on track and the content could be added in all 4 languages, to make it ready for the big marketing event taking place later at the end of that month.